Includes 7qt and 4qt stockpots pressure cooker cover with silicone seal and vented, see-thru glass cover. Both covers fit both stockpots. Features phenolic handles, mirror finish exterior, and brushed finish interior. Induction ready. Limited lifetime warranty. White box. If you have any questions about this product by Precise Heat, contact us by completing and submitting the form below. If you are looking for a specif part number, please include it with your message. 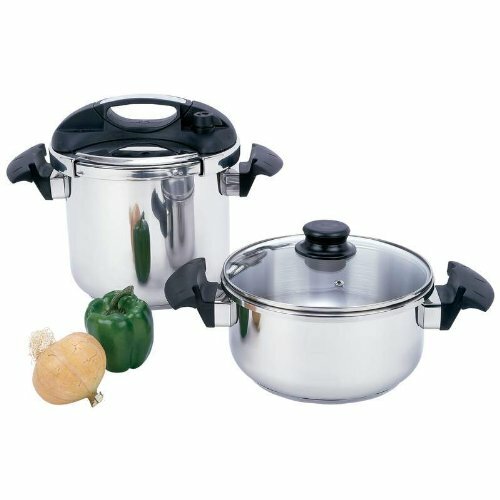 Prestige aluminum pressure cooker, 16 liters.